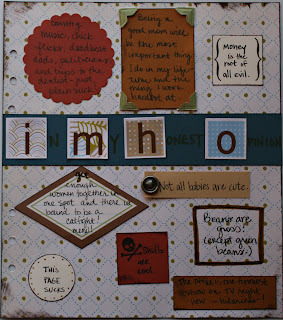 Finally got all caught up on my This Is Me Journal. Here's a look at the cover. In case you haven't seen these challenges yet, they are all posted HERE and they have really been a fun little project that has really made me ask myself some cool questions. You can use any sort of "journal" or album you want to keep all your pages in, so for this project I used the binder from the Making Memories catalog I got back in 2005 at CHA. I have been holding on to this binder, thinking...someday I'll use it, someday. I covered the spine and most of the cover, so you can't even see what it's original purpose was and it is a sturdy little binder. There have already been six challenges, the most current one is HERE but you can join in now and work from here or back track and complete them all or just the ones you want...Really, it's that simple. 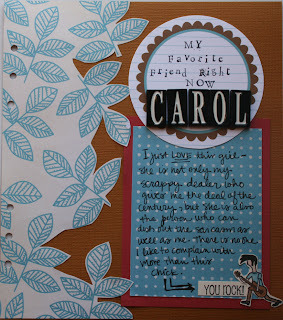 This was my genius moment so far making all these pages, I used the negatives from my American Crafts stickers to make the title letters for this page. Really it is the only cool and creative thing I've done in the whole album thus far! All the pages were done with the Scenic Route, Ashville Collection and I can't get enough of it. I just love how easy it is to use and the colors are just so wonderful, I can't stop using it on everything! Simone - These pages are really amazing! 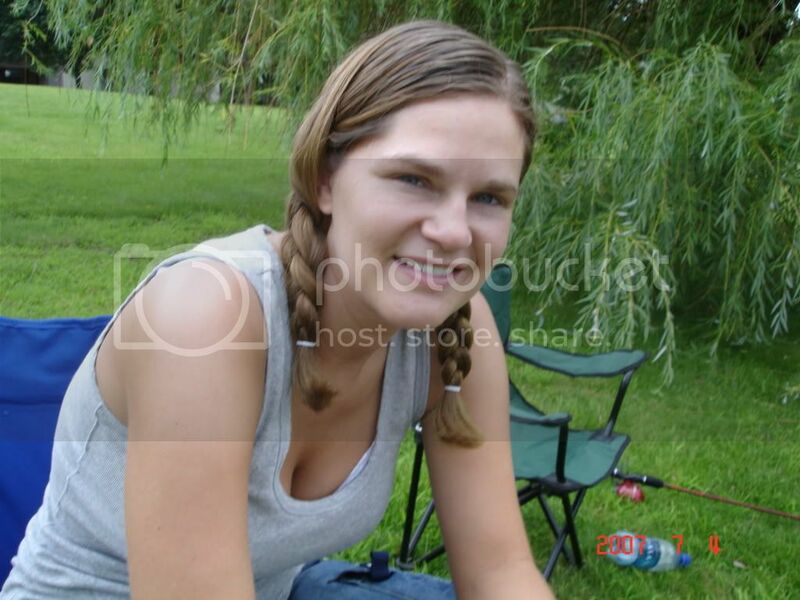 I read your Ultimate Mix and I think we may have been separated at birth (or in our early twenties!) I didn't think anyone knew Flesh for Lulu!! You rock - girl!! 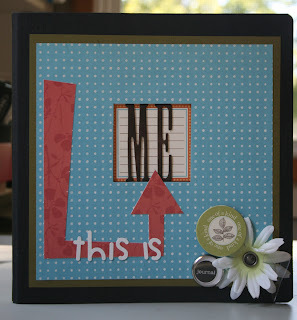 Thanks for sharing ... you may just inspire this committed card maker to start scrapbooking!! Hey Simone, how've you been??? I've been lurking about, reading but not commenting - that's kinda bad isn't it and I feel bad for not letting you know that I'm keeping up! 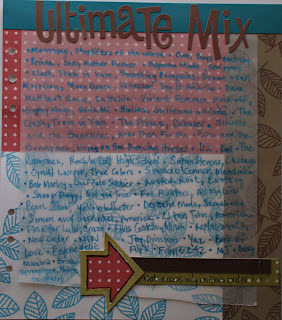 I loved reading about your ultimate mix, it was you list of fav. songs & artists that drew me in in the first place - anyone with the at least some of the same taste in music as me must be COOL! I was glad to see you had Mandika listed, most people only think she existed after Nothing compares 2 U. My fav. track from the 1st album is Troy. Love the ME album, I'm going to look into this further! Great project, Simone. 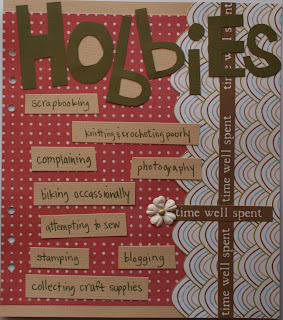 Love the papers and "stuff" you are using. Post more as you get pages done. These layouts are so cool and not one picture! You did a great job with your "Me" book.! These pages are great. I especially love the IMHO page...cracked me up! What an awesome journal! You always ahve such great ideas!